I'm so obsessed with candles at the moment! 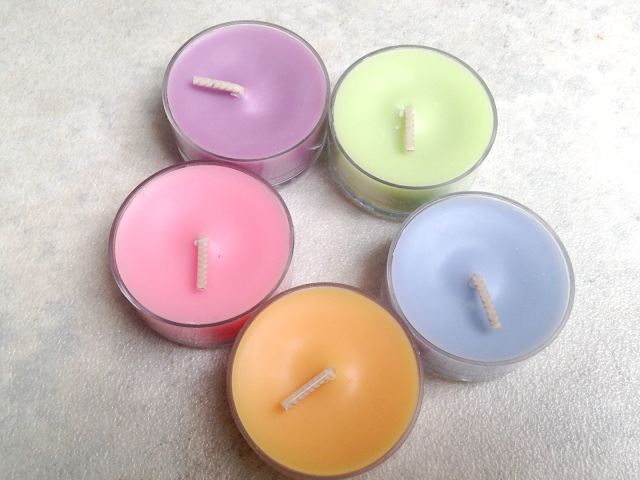 I'm loving burning candles and wax melts and really filling my home with warm sweet smells, mmm! Today I will be sharing with you some candles from Partylite who have a range of candles to suit all budgets and a range of different scents. First up is the Forbidden Fantasy Candle in Desire*. The outer packaging of this candle is beautiful, very sleek and elegant. Inside the candle is housed in a round black glass jar, with the candle itself being black inside. It's very minimalist. With a blend of magnolia and jasmine, with hints of deep berries it's a nice floral scent that verges on fruity. It's very pungent and fills my whole apartment with the gorgeous scent. 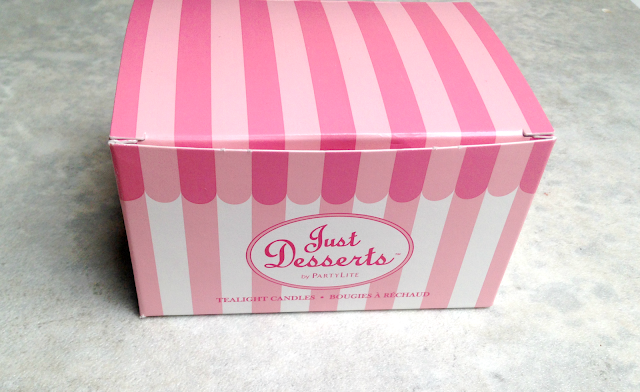 How cute is the Just Desserts* packaging for the tea lights though? I think this would make a great gift for someone. It has 15 tea lights inside, three of each scent: Marshmallow Peppermint, Lemon Lime Macaroon, Pineapple Upside Down Cake, Sugarplum Fairies, Nutcracker Sweet. Each scent is really strong and fills the room. They all smell amazing and you can mix up the scents if you want. 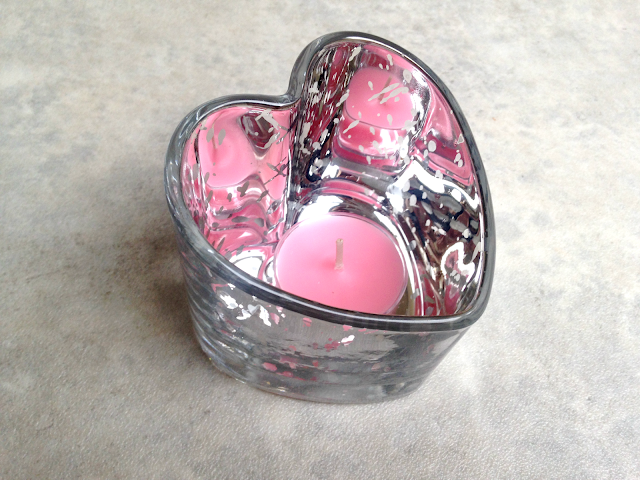 For the the tea lights there are various tea light holders and I got scent this gorgeous heart one. It's a glass heart with silver detailing. I'm really impressed with Partylite candles overall and I could definitely see myself buying some in the future - I have a lot of candles at the moment, eheh.